Browse the complete current literature catalogue that includes Conference-approved literature and other A.A. materials and search for individual titles by category and subject matter. 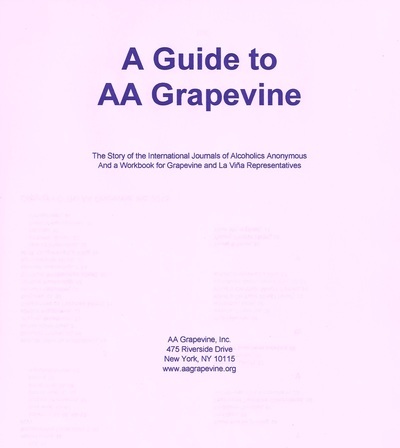 Purchase AA Conference approved literature from A.A.W.S. online store. Purchase A.A.W.S. eBooks for Kindle, Nook or Apple editions. 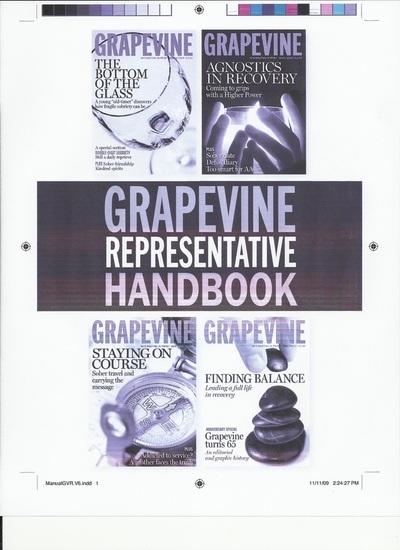 Choose your Book, e Book or Audio Book editions from AA Grapevine's Online Store. A.A. Literature can also be purchased from Western Pa. Area 60's literature coordinator "Becky C.". Area 60/Forms also has downloadable or printable Forms for Groups and Committees ( New Group Form, Group Information Change Form, DCM Change Form, GSR Report Form etc. A.A. Groups in District 18 stock A.A. Literature which are usually sold at cost. Find an A.A. Group at one of our Meeting Locations listed on the Contact, AA Meetings and Find a Meeting pages. 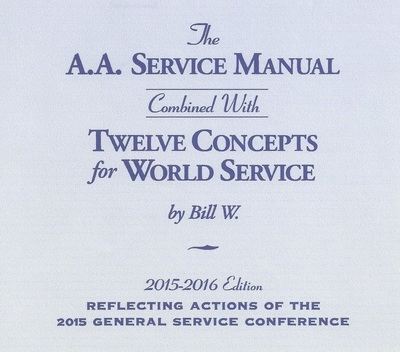 Service Manual and Workbooks for Committees are available for Download and / or Printing by clicking on the picture. A.A, Literature reprinted on this website with permission of A.A. World Services Inc.